Well, this episode just turned everything on its head and threw me for a complete loop. At this point in the show it is becoming increasingly difficult for me to predict what is going to happen. There was no hints for this reveal at all, it was something that came out of nowhere but fits completely with what is going on. This episode told us that Rumple’s heart is giving out, we learned Robin’s origin story and found out that Marian hasn’t been Marian this entire time. Instead Marian has actually been Zelena and she has been in control. The story has taken a completely new turn and it leaves open so many questions and possibilities for all of our characters. The first major aspect of this episode was us finding out that something is very wrong with Rumple. In the last episode when Rumple was talking with Belle he was being cryptic. He told her that something changed quickly and he held his chest while talking about not having much time. I hypothesized that Rumple was sick and was dying and it turns out I was right. Rumple’s heart has been completely consumed by the numerous dark deeds he has done over his lifetime. His heart has no good left in it and is nothing but a black rock. He has been keeping himself alive with magic up until this point and without it his heart is going to stop. This scenario gives us an interesting twist for Rumple’s character. Up until this episode it was thought that the only way to kill Rumple was with the dagger. You stabbed him and became the dark one yourself. Now we learn that Rumple isn’t as infallible as we previously thought. He does have a weakness and like everyone else it is his heart. What is interesting about Rumple is that he did this to himself. No one broke his heart or hurt him. He was the one who took over being the dark one and as a result lost his son. He made the choice to hurt others. All these poor choices have consumed his heart and made it unable to beat without the aid of magic. His heart can’t take anymore. We found out that Rumple can be killed and it is because of his own choices; essentially he is killing himself. In the past, Rumple came to Robin in order to have him steal a potion from Zelena, called The Elixir of the Wounded Heart. This raises a question for me. In the hospital Rumple states that he has been keeping himself alive with magic up until this point. Now in the Enchanted Forest did he need the elixir to save his heart physically or was he wanting it for something more emotional like Will did. In the Enchanted Forest was he dying? I’m thinking most likely not. There was another reason he wanted the elixir and I think it may have been to heal his heart from losing his son. He wanted it in order to stop feeling that guilt and pain, thus allowing him to revel in his power and not have his conscious bugging him the entire time. I wonder if we will ever find out what he wanted it for or if that is something we are just going to have to infer for ourselves. For most of this half of the season I thought Rumple was the one in control, the one manipulating everyone else. It turns out that isn’t true. Zelena takes the crown for being the queen of manipulation. She control Rumple which means inadvertently she controls the Queens of Darkness and Regina as well. Everyone believes that stopping Rumple will solve all their issues but it turns out that won’t do much good. This was one twist I had no idea was coming and I love that! It turns out that while Zelena’s body was destroyed her spirit survived. It followed Emma and Hook through the portal to the past where she killed and possessed Marian. The real Marian never came back from the past. Zelena is still out to hurt Regina. She also wants to punish Rumple as well. So like everyone else she wants the author to write her a new ending, an ending where Regina is unhappy and does not get to live out her own happy ending. While I was watching this episode with my mother she asked a very important question. Why can’t everyone just have the author write them new endings? Why is everyone trying to prevent everyone else from getting the author to write their new endings? Wouldn’t everyone win if they each got their own happy ending? At first these seem like a simple question but the problem is actually explained by Zelena. She tells Rumple that what she wants is to have Regina not be happy. Zelena can’t have a happy ending while Regina is happy, it is simple as that. And that is an idea that most likely works for everyone else. The villains can’t be happy if the heroes are happy and the heroes will not be happy if the villains are living the lives they want. This means either the villains get their happy endings or the heroes get theirs. Regina would never be happy if Zelena and Rumple were happy too. For her it would feel like a betrayal to have her two biggest nemesis’s to get what they wanted despite what they did to her. They have to pay for the pain they caused. You can’t have people happy and enjoying life knowing the person or persons that broke your heart, killed someone you loved or stole your love was also happy. There is a reason people feel better when criminal are arrested, and sentenced. As a result they feel safe and satisfied. The villain lost and it reassures them that good will always win and that evil cannot win. If everyone got what they wanted from the author then this idea would no longer be true. The heroes would never be okay with that. The other main aspect of this episode was Robin Hood’s origin story. We see that after he married Marian he tried to give up the life of being a thief. He wanted to live what he considered an honorable life. What he discovers after going on a mission for Rumple and meeting Will is that the idea of being honorable can be defined in a number of ways. We see how he became a thief who robbed the rich to help the poor. Robin Hood has always lived by a code. This is a code of honor where he doesn’t betray anyone he cares about, he keeps his promises and he helps those in need. He will not turn away from any of these ideas. Which means he can’t turn his back on Marian. He made a marriage promise to her, promised to be with her no matter what and take care of her. This results in him turning his back on Regina and deciding to live without her. It will be interesting to see what he does when he finds out that Marian has been Zelena this whole time. “These are remnants of Neil Cassidy […] I don’t want to a reminder of my failure […] of happiness when I had it and couldn’t recognize it,”- Rumple – This is the most human moment we have gotten from Rumple’s character to this point. Here he realizes that he destroyed his only chance at a good life. He tells Robin that when you have all that you want , go to it, hold it and never let it go. 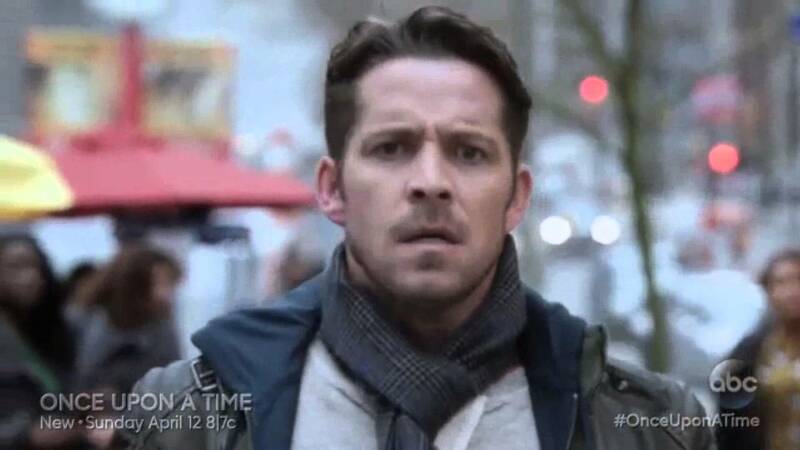 (He was telling Robin to go to Regina but unfortunately Robin took it as staying with Marian/Zelena). Rumple wants him to realize that you can’t keep looking for that one more piece, because you will end up losing everything in the process. Be satisfied with what you have and realize what it means. “When you steal for yourself that makes you a thief, when you steal for others that make you a hero,” – Robin – Taking and keeping what you take for yourself is selfish; it makes people fear you, distrust you and hate you. But when you steal to help others then that changes the perspective. You are no longer someone people fear but someone that is counted on and wanted. How close to dying is Rumple? Will he survive this season? What happens to his powers and the dagger if he dies a mortal death? Was he dying in the Enchanted Forest? What did he want with the elixir for during that time? What is Rumple going to do with the author now? Take him to Zelena? Where is he? Can Rumple get a happy ending with all that he has done and with his heart as black as it is? With all these lies and manipulations who is going to actually get what they want? What is the author’s story? Why does he want to change everything? Why does he want the quill so bad? Does he want to rewrite his own story? Or does he have a revenge idea in mind? When will Zelena be found out by everyone else? Will Regina get out and be able to tell them? What will Robin do when he learns he trusts about Marian? Who will Regina choose Emma or Robin? Posted on April 13, 2015, in Once Upon a Time, Tv Shows and tagged Heart of Gold, Marian, Once Upon a time, Regina, Rumple, twists, Zelena. Bookmark the permalink. Leave a comment.